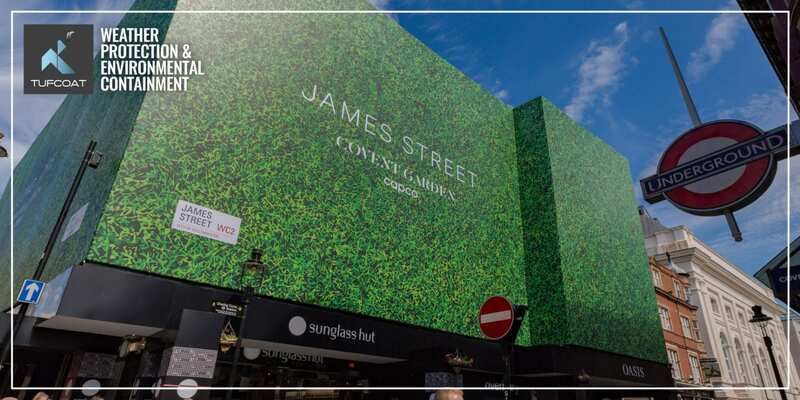 Regal House is the first part of Capco’s greening initiative to create a ‘vertical park’ at the gateway to Covent Garden.the redevelopment of Regal House has been transformed by the design of the living wall on the exterior of the building. 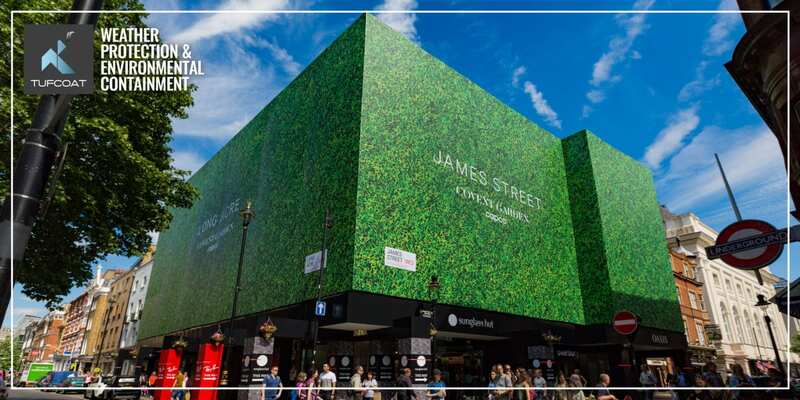 The redevelopment of Regal House has been transformed by the design of the living wall on the exterior of the building with over 8,000 plants and 21 different species have been planted over an area of 1,500sq ft of the building facade by expert living wall specialists Biotecture. The projects graphical panache, first imagined in Capco’s classic monochrome branding, took a radical redesign early in the project briefing. identifying the prime location directly facing Covent Garden Underground. 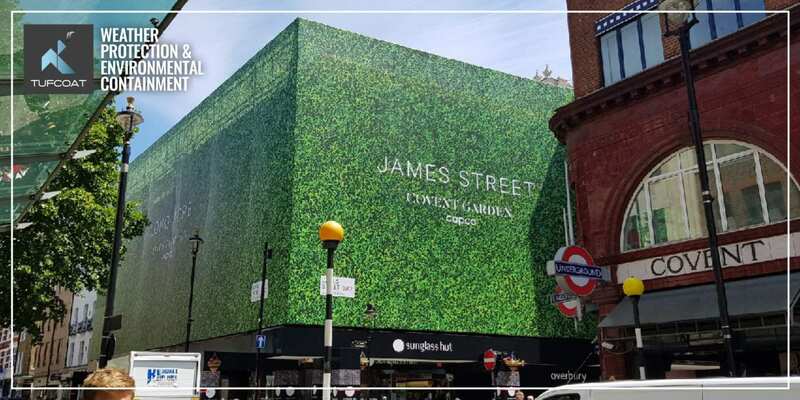 Directly facing Covent Garden Underground, and greeting thousands of commuters and visitors on a daily basis gave the London property company the perfect opportunity to break with their traditional design to redefine their image and set a new standard on the estate for building wraps. The installation was carried out during 1 evening from 8 pm under strict stipulation from Westminster Council which demanded noise control until 11 pm. At this point, the PVC mesh wrap weighing nearly 1000kg was hoisted into position before the painstaking task of tensioning the mesh around the staircase, goods hoist and corner of the longest elevation on Long Acre Street. Overbury‘s refurbishment works had been underway for several weeks leading up to the installation before scaffold was erected to support the banner whilst allowing access for Biotecture to begin their living wall. Once complete four floors of office accommodation will be available; totaling 14,285 sq. ft. in this prime London location.